The holder of this position will report directly to the Service Delivery Manager, Front Office Operations - Stamping and Refunding and is responsible for supporting all Global Blue business applications assigned - validation and refunding related. 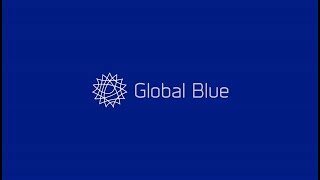 As part of the application support team the position cooperates with internal departments (Infrastructure and Operations teams, Engineering teams) and external vendors to constantly improve the delivery of Global Blue's business applications. The position is based in Vienna and could require sporadic travelling. Please send us your up-dated English CV with a short motivation letter highlighting your suitability for the job. Global Blue guarantees a competitive and performance-related salary depending on your professional and personal qualifications. The minimum offered salary for this position starts from 41.000 EUR p.a., however, the total compensation is a subject of individual agreement. As required by Austrian federal law we hereby state, that the legal annual minimum compensation according to the Austrian collective agreement amounts to EUR 34.182,96 .